ARELY indeed is this charming bird now found in England, where formerly it could be seen darting hither and thither in most frequented places. Of late years, according to Dixon, he has been persecuted so greatly, partly by the collector, who never fails to secure the brilliant creature for his cabinet at every opportunity, and partly by those who have an inherent love for destroying every living object around them. Gamekeepers, too, are up in arms against him, because of his inordinate love of preying on the finny tribe. Where the Kingfisher now is seen is in the most secluded places, the author adds, where the trout streams murmur through the silent woods, but seldom trod by the foot of man; or in the wooded gullies down which the stream from the mountains far above rushes and tumbles over the huge rocks, or lies in pools smooth as the finest mirror. The Kingfisher is comparatively a silent bird, though he sometimes utters a few harsh notes as he flies swift as a meteor through the wooded glades. 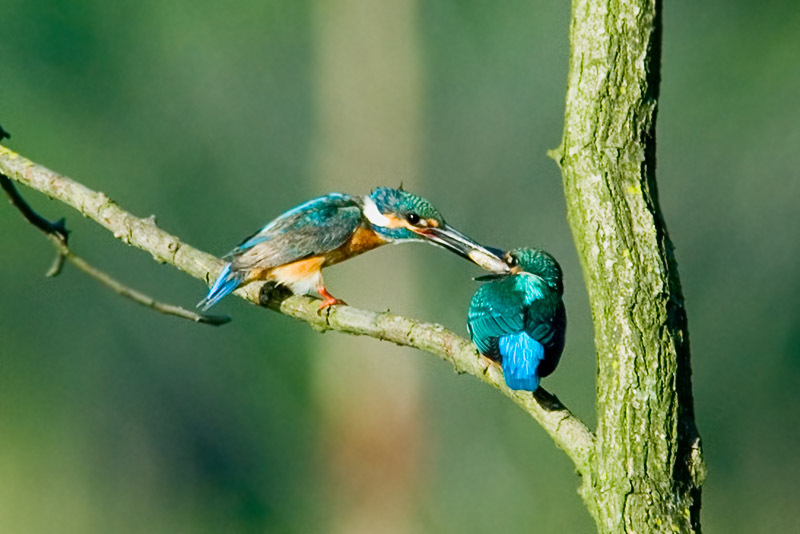 You not unfrequently flush the Kingfisher from the holes in the banks, and amongst the brambles skirting the stream. He roosts at night in holes, usually the nesting cavity. Sometimes he will alight on stumps and branches projecting from the water, and sit quiet and motionless, but on your approach he darts quickly away, often uttering a feeble seep, seep, as he goes. The habits of the English Kingfisher are identical with those of the American, though the former is the more brilliant bird in plumage. (See Birds, Vol. I, p. 61.) The ancients had a very absurd idea as to its nesting habits. They believed that the bird built a floating nest, and whenever the old bird and her charge were drifted by the winds, as they floated over the briny deep, the sea remained calm. He was, therefore, to the ancient mariner, a bird held sacred in the extreme. Even now these absurd superstitions have not wholly disappeared. For instance, the nest is said to be made of the fish bones ejected by the bird, while the real facts are, that they not only nest but roost in holes, and it must follow that vast quantities of rejected fish bones accumulate, and on these the eggs are of necessity laid. These eggs are very beautiful objects, being of a deep pinkish hue, usually six in number. 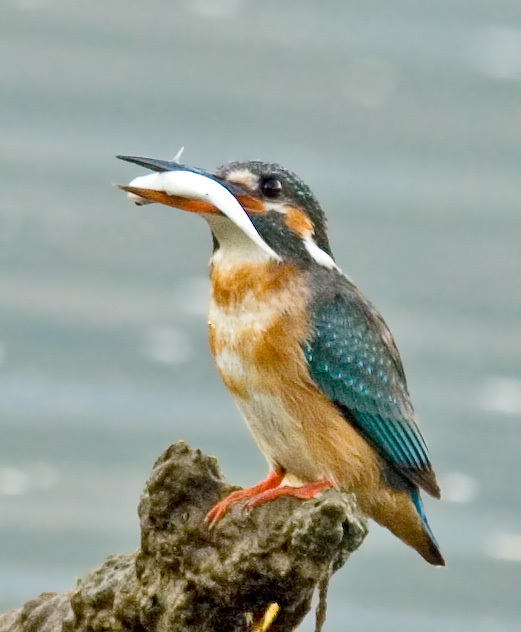 The food of the Kingfisher is not composed entirely of fish, the remains of fresh-water shrimps being found in their stomachs, and doubtless other animals inhabiting the waters are from time to time devoured. 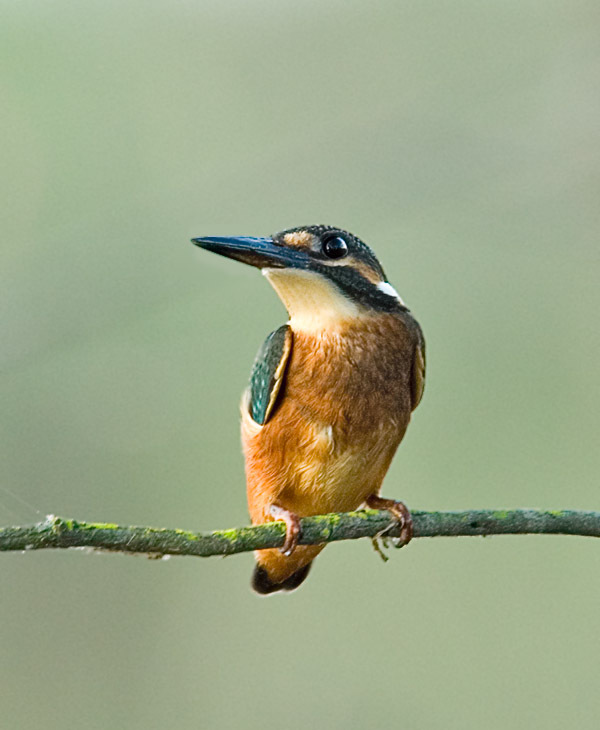 The English Kingfisher, says Dixon, remains throughout the year, but numbers perish when the native streams are frozen. There is, perhaps, not a bird in all the ranks of the feathered gems of equatorial regions, be it ever so fair, the Humming-bird excepted, that can boast a garb so lovely as this little creature of the northland. Naturalists assert that the sun has something to do with the brilliant colors of the birds and insects of the tropics, but certainly, the Kingfisher is an exception of the highest kind. Alas, that he has no song to inspire the muse of some English bard! I shouldn’t have liked it one bit if my picture had been left out of this beautiful book. My cousin, the American Kingfisher, had his in the February number, and I find he had a good deal to say about himself in his letter, too. Fine feathers make fine birds, they say. Well, if that is true, I must be a very fine bird, for surely my feathers are gay enough to please anybody—I think. To see me in all my beauty, you must seek me in my native wood. I look perfectly gorgeous there, flitting from tree to tree. Or maybe you would rather see me sitting on a stump, gazing down into the clear pool which looks like a mirror. “Oh, what a vain bird!” you would say; “see him looking at himself in the water;” when all the time I had my eye on a fine trout which I intended to catch for my dinner. Well, though I wear a brighter dress than my American cousin, our habits are pretty much alike. I am sure he catches fish the same way I do—when he is hungry. With a hook and line, as you do? Oh, no; with my bill, which is long, you observe, and made for that very purpose. You should just see me catch a fish! Down I fly to a stump near the brook, or to a limb of a tree which overhangs the water, and there I sit as quiet as a mouse for quite a while. Everything being so quiet, a fine speckled trout, or a school of troutlets, play near the surface. Now is my chance! Down I swoop, and up I come with a fish crosswise in my bill. Back I go to my perch, toss the minnow into the air, and as it falls catch it head first and swallow it whole. I tell you this because you ought to know why I am called Kingfisher. Do we swallow bones and all? Yes, but we afterwards eject the bones, when we are resting or roosting in our holes in the banks of the stream. That must be the reason people who write about us say we build our nests of fish bones. Oh, no, we are not singing birds; but sometimes, when flying swiftly through the air, we give a harsh cry that nobody but a bird understands. Range—England and portions of Europe. Nest—In holes of the banks of streams. Eggs—Usually six, of a deep pinkish hue. 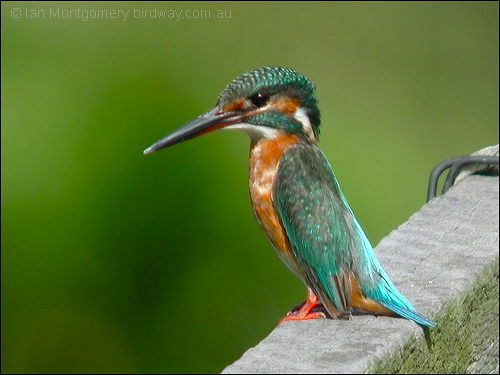 The Common Kinfisher is part of the Alcedinidae – Kingfishers Family, now divided into the River Kingfishers or Alcedinidae group. Personally, Kingfishers are a favorite of mine and I enjoy the neat design, attitude and challenge to photograph the Lord gave them. The flight of the Kingfisher is fast, direct and usually low over water. The short rounded wings whirr rapidly, and a bird flying away shows an electric-blue “flash” down its back. 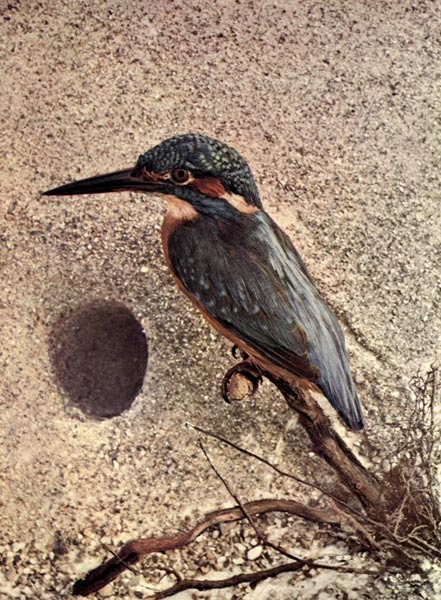 This entry was posted in Birds, Birdwatching, Christian, From The Past and tagged Alcedinidae, Birds Illustrated by Color Photography, European Kingfisher, Home School, Kids, Photography, River Kingfishers, Vol 2 #5 Nov 1897, Youth. Bookmark the permalink.